The play concerns the story a young French couple who in 1940, are escaping the ravages of the second world war and destruction of their tiny French village. Fleeing the atrocities and the death and loss of all they hold dear, they run as hard and as fast as they can across the country, eventually finding themselves in the remains of Chateau Tatar. It is inhabited by the last remaining member of the family who owned it. But they also find it is the home of a small group of soldiers from apparently different sides who appear to be seeking refuge from … what? The young couple soon come to discover that with the chateaux, its owner and the soldiers there are many unanswered questions … and secrets. Old secrets. Dark secrets. Secrets which, as they are disclosed, will shake their relationship, their faith and all they hold dear. More importantly, secrets which will challenge their understanding of good and of evil; of life and death, of love … and of Chateau Tatar. For they soon come to realise that it is not only people who have memories. So do places. And the reasons are darker, much darker than they could possibly ever think. Gallery photographs courtesy of Colin Smith. 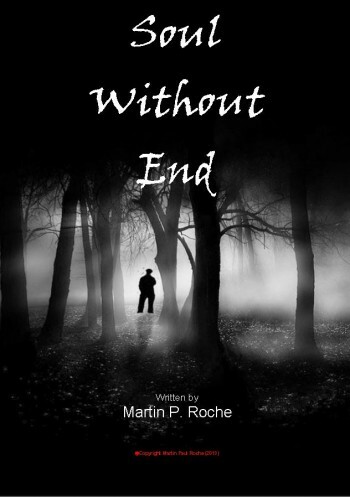 "Was gripped from the start"
"Eerie, well written, great performances, amazing set. 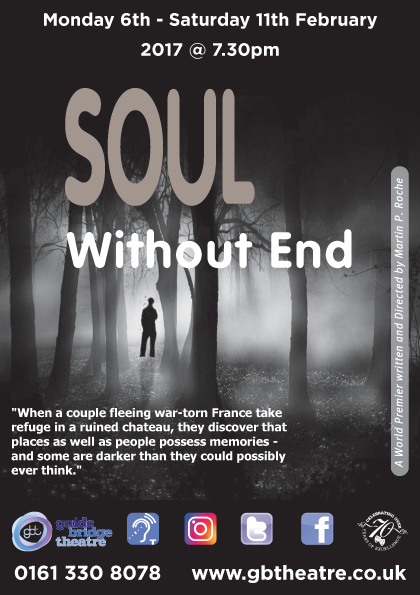 Thoroughly enjoyed 'Soul Without End'; great piece of theatre"
"A Triumph. Applause to the cast and crew for keeping us transfixed"
"Eerie tale with a surprise twist"
"...suitably eerie to create an atmosphere of suspense, drama and intrigue...a play that certainly left the audience something to think about"